For as long as I can remember, I have always loved earrings. I can walk outside without a bracelet, necklace or a ring on. But I can't recall a time when I have EVER left my home without a pair of earrings on. I even wear them when I work-out and swim. My loctician is always complimenting me on my earrings when I stroll through to her shop. Which is true irony because I'm the one that's in love with HER earrings. We have the same style when it comes to pretty dangling things from the lobe. Big, funky, African, homemade, colorful earrings would be our earrings of choice. So when I went to Atlanta, I snagged her some beautiful earrings from this African-themed shop in Underground Atlanta. I put them in a cute little pouch and put them in this little wicker box. It's the little things, you know? 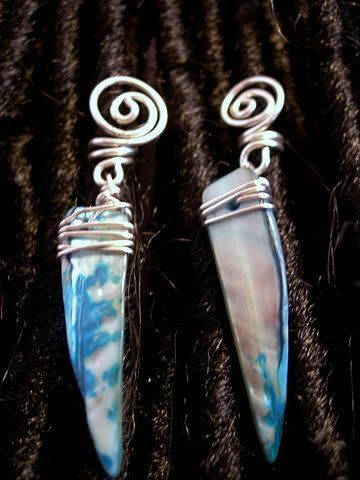 I don't know what it is about nappy heads/loc rockin' people but we love these funky earrings. I didn't start wearing earrings like these until I went natural. ....and don't even get me started on loc adornments. When my babies get longer, I will be sporting these like crazy!!! I got that picture from THIS LADY's Etsy shop. 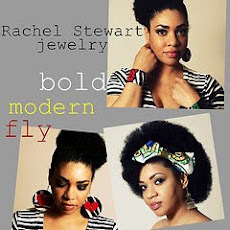 Click that link and you will visit her shop and view a dozen more photos of beautiful loc adornments. She's got a few on there that I KNOW I will be ordering in the next few months. You know it's funny because I rarely jewelery!! I got my ears pierced at 21 and rarely wear earrings..
it is only recently that i am started to get into it, slowly and wear earrings on big occasions. 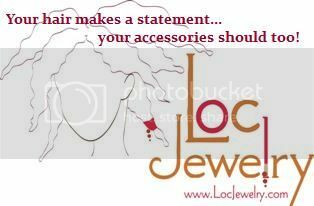 I'm w/ you: Ever since I started wearing my hair in it's natural state I've been in LOVE with the Afrocentric, bulky, COLORful jewelry (specifically earrings and bracelets)... I don't know if you saw my post on BeanpYe but they've got some LOVELY pieces and so does Goddess Zuri. I've been pierced forever and just got excited about wearing earrings. Funny thing is my hair has to be up to wear the ones I would like.